Golden Triangle Tours India offering most promising packages of 4 days - 8 days to delhi agra jaipur known as north india golden triangle tours & online bookings at affordable prices. Contact us for incredible golden triangle tours & tourism for tailor made & customized trip. No other tour provide such a good experience and delight that this one tour of delhi agra & jaipur provides. When you see those famous and world heritage sites and unique attractions not only in India but also throughout the world with amazing Indian hospitality. Not a single destination in Rajasthan is without a heritage attractions where ever you go you would find a heritage fort, palaces, havelis and other important heritage buildings. Still every body want to visit each destinations because of its unique history, design and architectural importance. Now many heritage buildings are converted into heritage hotels so that tourist can feel the royal experience. Enjoy 3 days delhi & agra tours ( also known as weekend gateway from delhi ). Complete heritage attractions of india's capital and the Taj city Agra. These are the most amazing tours itineraries combinations. Every third tourist in India visit this fascinating and enchanting delhi agra jaipur north india golden triangle circuit. It is the main tour which normally start from delhi of your incredible India journey. Here not only you will amazed to Visit the Taj mahal in Agra - Also known as WONDER OF WORLD, Amber fort in Jaipur, Qutub Minar & Red Fort in Delhi but also many other tourist attractions of north india golden triangle. Along with this circuit many other nearby sightseeing areas which are worth to explore are like tiger & wildlife reserves of Ranthambore in Rajasthan, Bandhavgarh, Jim Corbett, Kanha & Sunderbans etc, heritage forts, palaces, havelis & ancient monuments of Rajasthan; pilgrimage sites of Varanasi, Haridwar & Rishikesh; exotic temples of Khajuraho, exotic caves of Ajanta and Ellora. Down towards South - you can enjoy wildlife safari, backwater, beaches, honeymoon & ayurveda of Kerala & Goa's romantic, family and leisure beaches along with old churches. In the colourful state of Rajasthan be a part of the famous pushkar camel fair & jaisalmer camel safari can be one of the life time memories. Choose from well compiled tailor made and customized holiday vacations tour itineraries options for your incredible golden triangle tours to india. » Query Response within 24 Hrs. » Free of cost itinerary suggestions. » Language tourist guide at each destinations. » Reply from more than one travel agents helps you to select the best option. 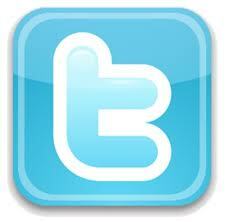 » Registered with Various travel & tour organisations. » Different combinations of tour itinerary according to your need and requirement. » Never compromise on services. » Huge satisfied client base. Almost each n every country has its golden triangle tours but in India we have 3 - 4 golden triangle itinerary which are famous as east india, south india and north india golden triangle but the last one is most demanded and recommended because many think this one circuit is almost visit to half of India. Famous for its unique culture, heritage sightseeing attraction of north india cities covering Delhi Agra & jaipur along with its unity in diversity make it even more unique and preferred destination of the circuit of this Incredible India tours if not completely. Even one can make it more enjoyable by adding some of the must visit tourist attractions and destinations including Goa beaches, Kerala, finest wildlife sanctuaries and wildlife reserves including Ranthambore, Bandhavgarh, heritage sites in Khajuraho & Varanasi, leh ladakh in himalaya, luxury trains ride, camel safari, pushkar fair, pilgrimage destinations - rishikesh, haridwar and varanasi along with Rajasthan theme of Wildlife, cultural, heritage & safari attractions. 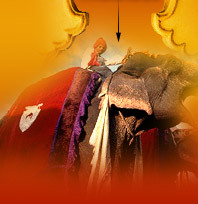 We have creates another section where you can choose from various daywise tours of golden triangle & rajasthan. First timers coming to India will surely have immense pleasure and fun from these well compiled tours itineraries, support & help from expert travel team which will last forever in visitors mind. Greatest enjoyment of lifetime and ever lasting memories during delhi agra jaipur holidays when you stay in luxury hotels / heritage hotels / resort, finest of luxury cab services with english speaking chauffeur with premium services at each destinations. Normally 6- 7 days are sufficient for these 3 destinations but can be alter according to your schedule. Tour can be start from any of the destinations. There are many mode by which you can take golden triangle vacations like trains / car / buses / flights but car is most preferred by tourist by which you can visit the en-route attractions between 2 destinations along with city tours by car at delhi agra jaipur which cut your tour cost and convenient way. Choose car according to your requirment and member. Enjoy 5 to 6 days in delhi jaipur agra golden triangle & visit many world heritage ( like Taj mahal, Amber fort, India gate etc. & other unique attractions of the tourist circuit & then fly to Goa for 3 to 4 days to view old churches and most famous beaches & enjoy most loved water sports at beaches. Top most destination of northern india golden triangle & luxury hospitality of Udaipur gives immense pleasure with cultural & heritage activity in six days holidays. Best 9 days vacations for tourist to enjoy triangle trip to delhi jaipur & agra and scared city varanasi of north india. It is also classified as classical holidays of north india. Start from delhi, 8 days trip of golden triangle ( adding cultural and heritage sights, traditonal food, shopping, photography and royal hospitality at heritage hotel etc. ) & ( golden temple - sikh pilgrimage attractions, Waga border and jallianwala bagh ) Amritsar is prime attractions. Great example and show piece of Indian architecture to the world. Vivid and charming buildings & unique epitome of love. Stunning picture of Agra taj mahal during sunrise & sunset. Most tourist love World heritage sites of Agra & Delhi. It is covered in 4 days taj mahal tours. Enjoy luxury trains / Airconditioned car during delhi, Agra & Jaipur transit. But stay will be in budget / 3 star hotels. This glorious package of golden traingle is available at budget priceing. Our expert team will try to make it one of the best vacation of your life. This tour itinerary is a boon for the animal & nature lovers. This tours offers a unique combinations to explore tiger safari along with visit to the various heritage sites in Delhi & Agra. This 12 days tour package can be amended according to ur requirement. 8 days tour plan is famous for tiger safari in ranthambore in rajasthan where you would spent 2 days for wildlife trails and rest of the 5 days is to enjoy heritage attractions of golden triangle. This itinerary is very flexible you can modify because can start from any point. Memorable 22 days trip to incredible taj mahal and complete Rajasthan theme of heritage, wildlife, culture, fairs, desert, camel safari in this one itinerary. 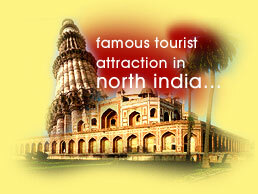 so that during india holidays you should visit best of the destinations of northern india. Very less travel agent offers this itinerary of 19 days to see delhi agra jaipur in 5 days and enjoy remaining days to explore backwater, beaches, wildlife safari, houseboat, ayurveda, spa and spice tours in best state ( Kerala ) in terms of tourism in India. vacations to 9 days heritage attractions of north india. Most of the time tour starts from capital city - Delhi and initally covers golden triangle destinations and then from agra move to heritage attractions of central india known as Gwalior, orchha, jhansi and Khajuraho ( small town famous for heritage temples ). Specifically covered in 6 days & 5 night this great triangle trip can be taken as tailormade and customized ( according to day, time, theme & budget ) as well. 7 days holiday extravaganza to north india heritage triangle city - delhi, jaipur & agra along with 2 days paradise on earth - Kashmir trip. True hub of world heritage sites, each & every city / tourist destination is unique in attractions. Complete tours of heritage sight or also known as classical tours of north india - covers famous temples of khajuraho, taj mahal of agra, amber fort of Jaipur and heritage sites of capital of India - Delhi. Most preferred itinerary among the foreign tourist. To visit the world famous triangle tours of north india and visit pushkar fair in the month of kartik. This is usually peak season of north india tourism. Enjoy 21 days holidays of camel safari on rippling sand of thar desert of rajasthan at various tourist destinations like jaisalmer, jodhpur, bikaner, mandawa etc. along with incredible golden triangle trip of north india. Delhi Travel Guide - Delhi visit provide variety of choices to day trip. Most of the tourists land in Delhi. Delhi the capital of India is well connected to other cities of India by rail, road and air. That's why most of the north india tours start from here. Delhi is perfect blend of ancient & modern living. You can go for shopping of handicraft items, ready made garments, jewellery, heena painting, Dilli hut ( promoted by delhi tourism is famous for antique and handicraft market which are sold by the artisans themselves, various cultural shows and fairs are organised here from time to time). Main Attraction in Delhi is Red fort, India Gate, Isckon Temple, Jantar Mantar, Lotus Temple, Birla Mandir, Qutub Minar, Jama Masjid. Agra Travel Guide - Agra is on world map is due to wonder of world agra the Taj mahal ( poem on white marble ) and world heritage sites. One of the city of golden triangle circuit. Now question arises why is it necessary to visit agra ? Not only because of major sightseeing Attraction of Agra like The Taj Mahal, sikandra Tomb, Itmad-ud-daulah Tomb, Agra Fort, Fatehpur Sikri etc but also famous for handicraft items, leather goods and rich history of mughal era. Jaipur Travel Guide - Colourful city Jaipur is capital of Rajasthan. In past jaipur had great rulers but Sawai Jai Singh II, is well known astrologer and mathematician. He had created jantar mantar ( you can guess time by the adjustment of constructed walls and sun ). Jaipur is hub of heritage sights. World famous heritage sites are havelis, amber fort, city palace, hawa mahal and it is also great place for handicraft items shopping. Main Attraction in Jaipur is palace of wind, observatory, Jal Mahal, Ram Niwas Garden, Swai Mansingh museum, Nahargarh fort & Jaigarh Fort etc. Taj Mahal - Most beautiful building / structure on the earth known as The Taj mahal in agra. farmost reason for tourist to come to india. Some say it's worth a trip half way around the world just to see it. Not only domestic tourist, FIT, individual travelers visit the Taj mahal but also celebrity, high profile businessmen and renowned personalities from all over the world come to India to see this marvelous piece of architecture. Taj mahal is symbol of love between Mughal emperror Shahjhan and his Begum Mumtaj Mahal. The Tajmahal is constructed in 22 years with the help of 20,000 skilled labour. Normally Taj mahal trip is start from delhi and new express way from delhi to agra has made it easy & comfortable for tourist to complete it easily in a 1 day time. If one is not comfortable to travel by road then you best option is to travel by train. There are no. of train running on this route at different time. If you are plan 1 day trip to Agra then you can choose between Shatabdi & Taj express. Although the inbound tourist prefer to visit golden triangle throughout the year. But the best time to explore Delhi, Agra Jaipur ( North India Golden Triangle ) & nearby tourist places is between August - March, when the weather is pleasant and cool. In the month's of April to July as the weather is pretty hot and humid in those days. This one is normally low season of the circuit and if you plan to trip golden triangle then you can get the best rate of your itinerary as the rates of hotels are low. During these months you can prefer to visit other tourist areas like south india, east india or hill stations. We help you to explore some of the famous tourist attractions nearby to north india golden triangle and also provide different combinations of package tours with these selected famous destinations, places of tourist attractions to see, best time to visit, informations along with where to stay in these cities. All these tourist places are rich in cultural and heritage activities. Offers one of the best national parks and wildlife sanctuaries visit. Where you will not only enjoy rich flaura and fauna but also during tours to these amazing willdife reserves and bird sanctuaries you will meet many wild species in their natural habitats. If you are really planning to visit wildlife in india then pls. confirm when the parks and sanctuaries are open normally in rainy season parks are closed for visitor & generally best time to visit is from October to May. Good news for wildife lovers IRCTC has already taken a trial run on world environment day for new semi luxury train ( known as Tiger Express ) which will cater wildlife circuit of Bandhavgarh, Kanha & Jabalpur in 5 days to enjoy various wildlife & tiger trails. Originally this luxury train wildlife trip will start from Delhi's Safdarjung railway station from October 2016. Copyright © Golden Triangle Tours India All Rights Reserved.